On the screen two layers of audiovisual elements evolve, with contrasting size and dynamics, reacting to each other and to the user interaction with unspecified rules. The two layers can be individually switched on or off, achieving different combinations of foreground and background elements. Each set integrates animation and sound, altogether with reactive variables. Once the Auto mode is toggled, the user is not anymore able of selecting each individual element but rather to arrange the buttons in a timeline, where these are automatically triggered, thus managing new dynamic sequences. 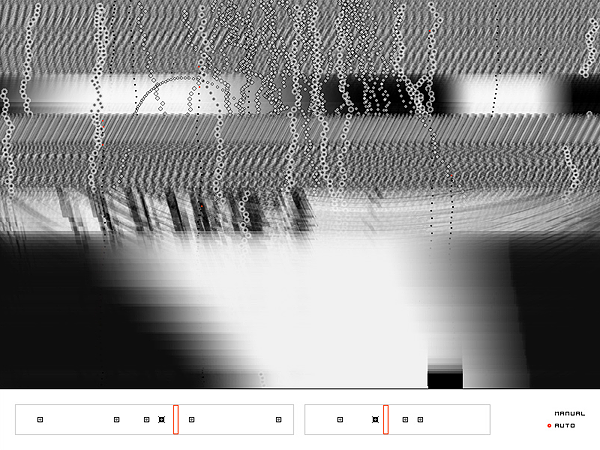 This piece of pure glitch art is the work of two leading software artists who produce selfgenerative art. Here, software is not used as a mere tool but is applied as an artistic language, just like the square used in Kazimir Malevič’s works is not a geometric plane figure but an abstract work. In this art work, glitch, or unusual and unexpected malfunction, is the aestheticization of digital errors that are specially created by the artists to obtain a visual result and create an unpredictable element. 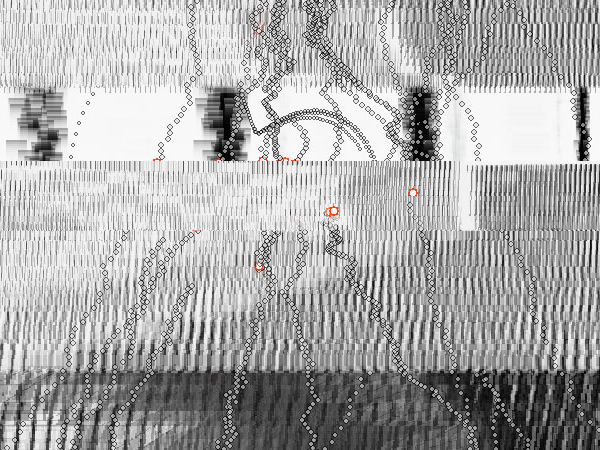 The artists use glitch art to set into motion a process for the reappropriation of error, enabling them to explore the artistic scope of software’s intrinsic properties.